The newly released book on human rights violations in Turkey in the aftermath of a failed coup last year, written by Naciye Nur Ener, the jailed editor of the Yeni Asya daily, has been banned in Turkish prisons, Yeni Asya reported on Sunday. 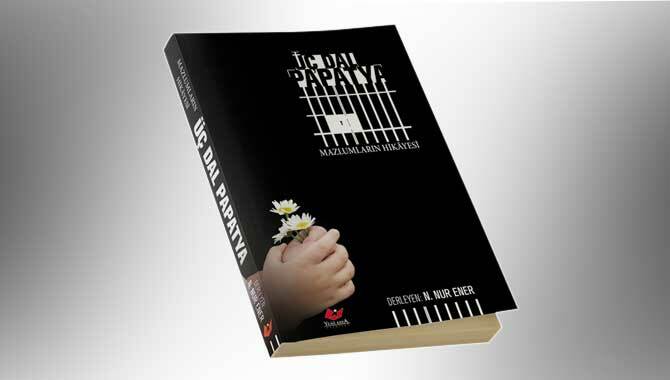 According to the paper, prison guards seized a copy of the book, titled “Üç Dal Papatya” (Three Daisies), when a suspect’s child brought it as a gift for their parent. The book includes letters from victims who were dismissed from their job, detained and jailed over alleged links to Gülen group, which is accused by the Turkish government of being behind the failed coup attempt. In order to make the voice of the victims of the Turkish government’s massive human rights violations heard, journalist Ener began to compile the letters to publish as a book earlier this year. However she was also detained on March 5, 2017 over alleged links to the Gülen group. Her colleagues completed the unfinished book and published it since Ener is still in prison.